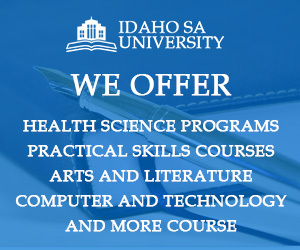 This is why we decided to set up Idaho SA University. This is an online community for anyone who wants to learn, re-learn, and keep learning. This is an online education center for everyone who wants to add meaning to their lives by receiving and sharing knowledge. 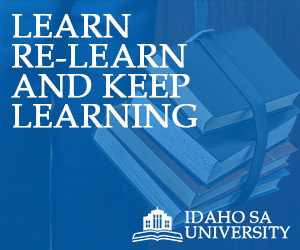 Idaho SA University is an online institution dedicated to providing equal education opportunities to anyone, anywhere. It is an online platform for education that offers equal opportunities for learning for people of all ages – young and old, students and professionals, housewives and homemakers. If you join our community, you will be given access to the different courses we offer. Additionally, you will also find educationally-relevant content like the latest news, updates on current developments in the education community, fun but useful content like studying and teaching tips and tricks, and many other features that can help make learning exciting and memorable. Our team is composed of passionate and dedicated education warriors, all experts in their respective fields. We have joined forces to come up with the most comprehensive online education center for the people of Idaho. Our goal is to make everyone – particularly the people of Idaho – realize that life is better with education.